We went on a pub date last night, so this morning we needed hangover food. 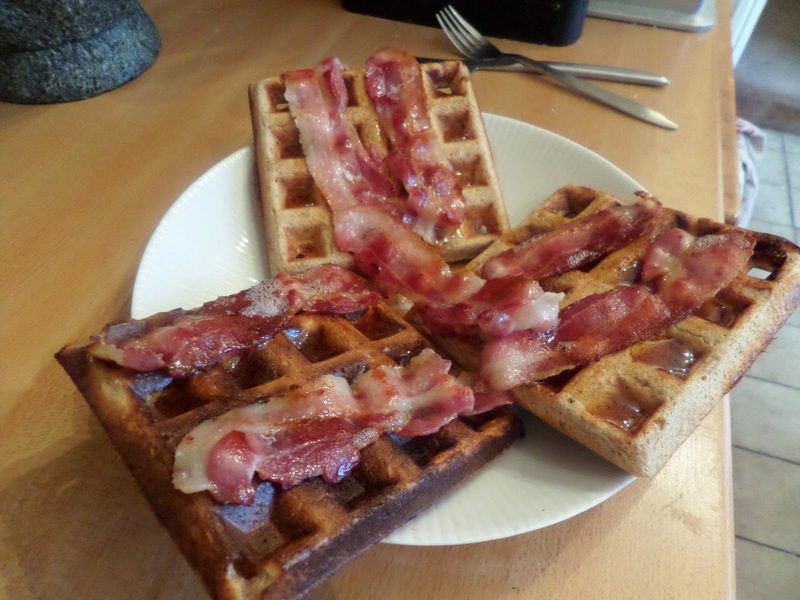 So out with healthy berry waffles, and in with crispy bacon with maple syrup. 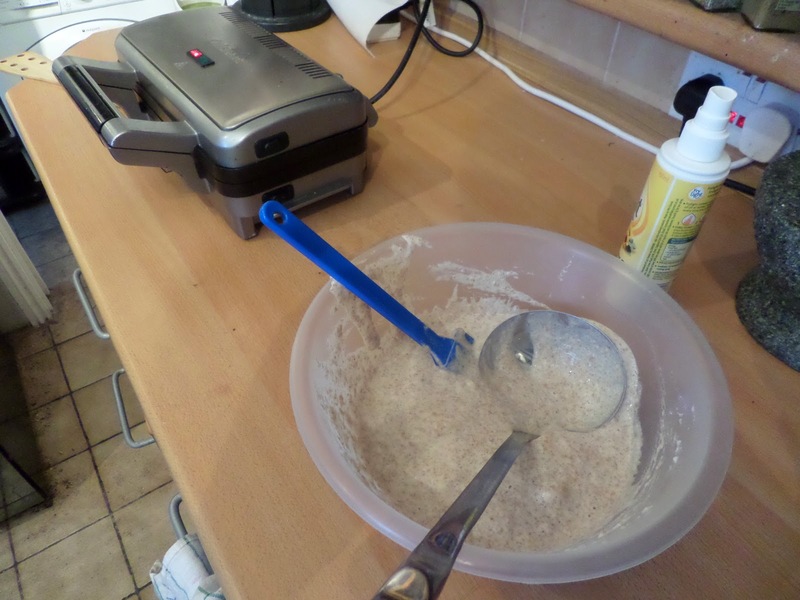 I’m using the new updated waffle recipe with added cornflour and whipped egg white, but obviously without the cinnamon. 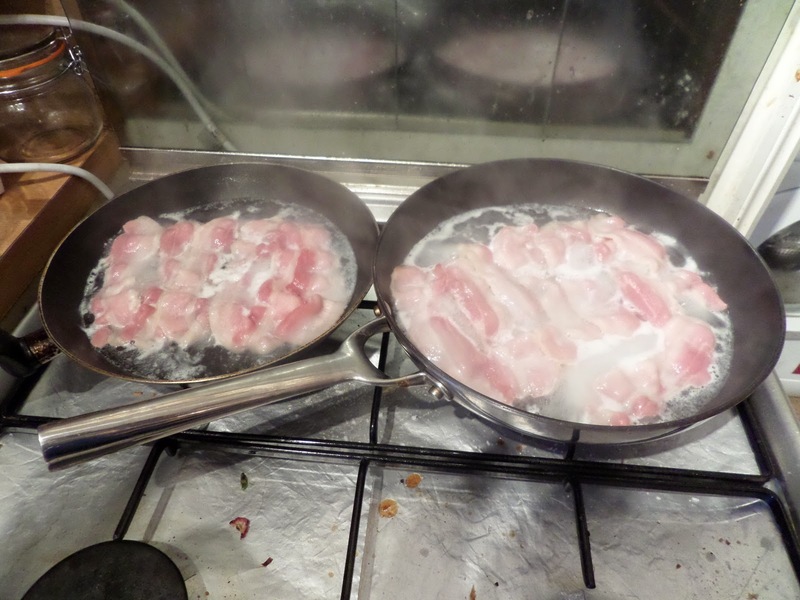 …and boiling it off to give crispy but juicy bacon, rather than just charred strips. Then it’s time to plate up and add maple syrup. The extra Tbsp of cornflour really helped crisp them up, and the whipped eggs keep the middle soft. However despite the same cooking time for each waffle, and waiting for the light to come back on between each batch, the first batch came out overdone, and the last batch under. So I think I need to get clever with the cooking time, and start with 5m30s, then 6m, then 6m30s, or possibly even 5m/6m/7m. 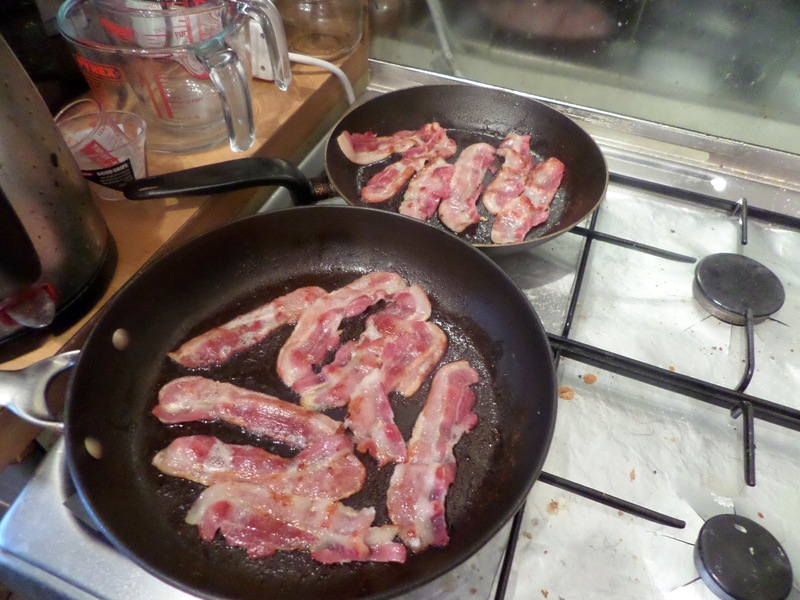 Your method of cooking bacon, with water, sounds interesting. I’ll have to try that.